E-Commerce retailers using Google Analytics to track their metrics can now also track their social media ROI as well. I’m going to explain how in five easy steps. Step 1. Locate and select Advanced Segments from the lower left sidebar in your Google Analytics Dashboard. Do not include websites or networks you are not a part of. You’ll also want to be sure you do not leave any spaces between the social network and the Pipe stroke <|> (the symbol above the backslash on most keyboards). In instances where there is typically a period or dot in the URL, you’ll need to insert a backslash the first and second elements of the URL. Step 5. Name your Custom Report and test it. You will now be able to see where you are receiving the most social media traffic from as well as your bounce rate, keywords used and any other metrics you decide to track. Great tips on measuring traffic from social media sources. Word-of-mouth is one of the strongest sales leads, but also notoriously vague in measuring. This tip helps segment these sources well. You can also link your Google Adsense account to your Google Analytics account and receive reports on Adsense performance in knol! you can see what channels are giving you most traffic, but this doesn’t help you monetise those channels. 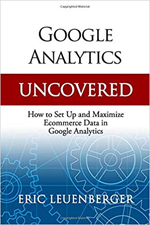 Finding out where you are making or losing money is just a matter of now looking into your Google Analytics and developing the proper report based on the data gathered. You can’t do that however without first segmenting traffic which is what this post demonstrates how to do.